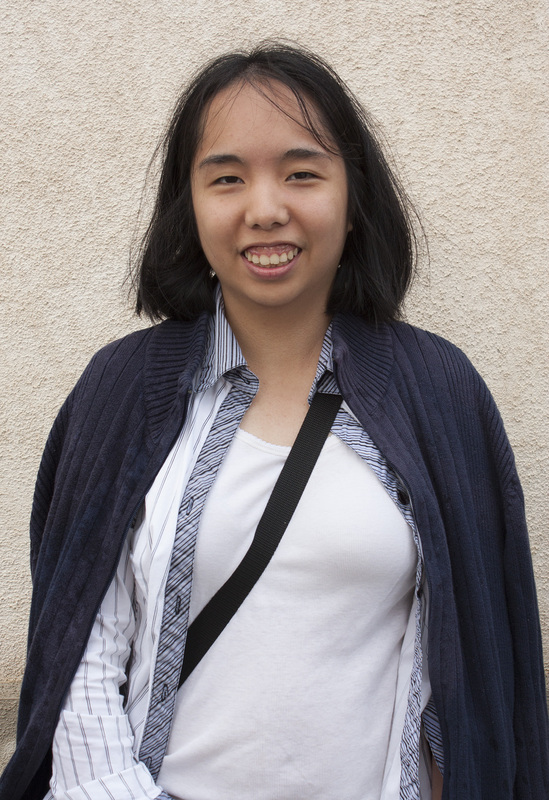 Patricia Leon, 21, Psychology Major was previously warned about the rain. “My dad told me it was going to rain, but I didn’t expect it to rain this hard. The hail scared me.” at Pierce College Calif. on Oct. 11, 2012. 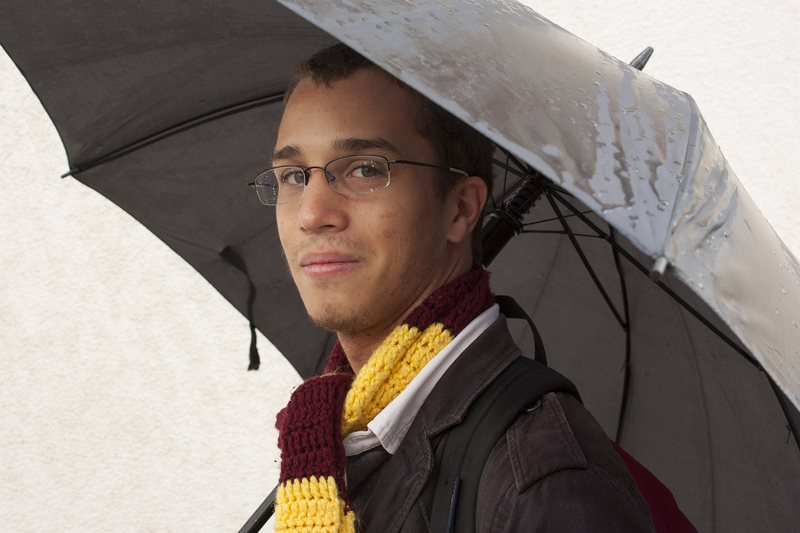 Francisco Maza, 21, ASL Interpreting Major at Pierce College, Calif. says “The hail seems to get bigger every time it falls, but it is what it is” on Oct. 11, 2012. 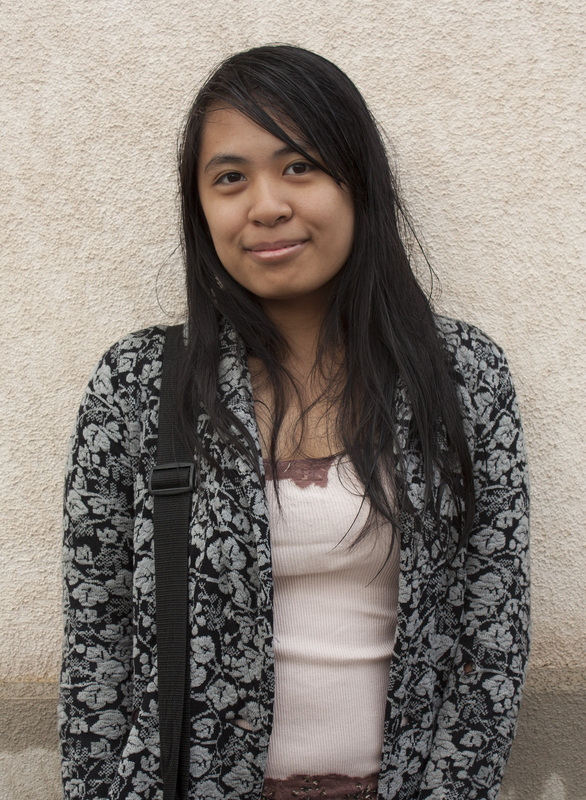 Kyra Nabarro, 21, Graphic Design Major, had to borrow a friend’s jacket knowing that “…it was going to rain, but not this hard. Especially with the hail.” at Pierce College Calif. on Oct. 11, 2012. 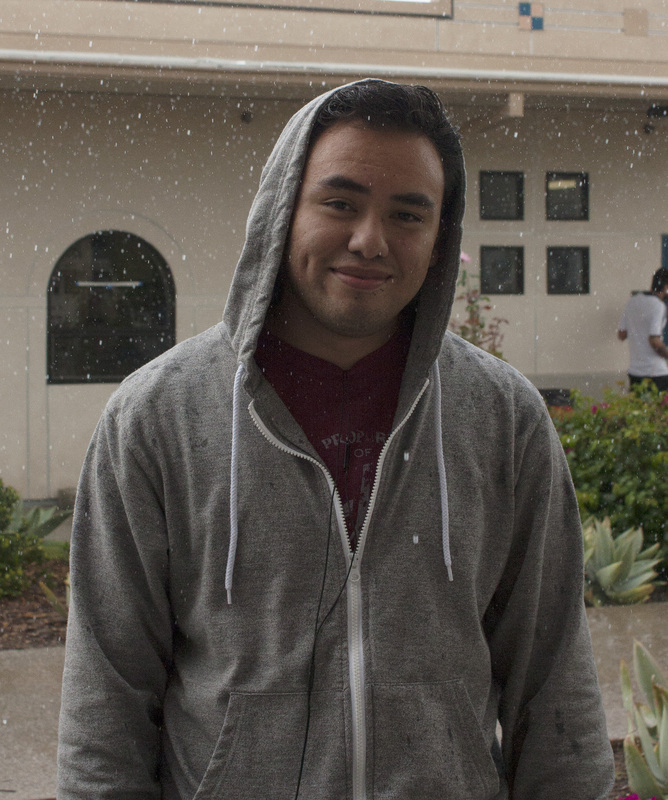 Patrick Genter, 19, undecided major, knew that “October is suppose to be a wet month, I’m glad it’s nice and cold…but rain, hah, I laugh at rain!” at Pierce College, Calif. on Oct. 11, 2012. 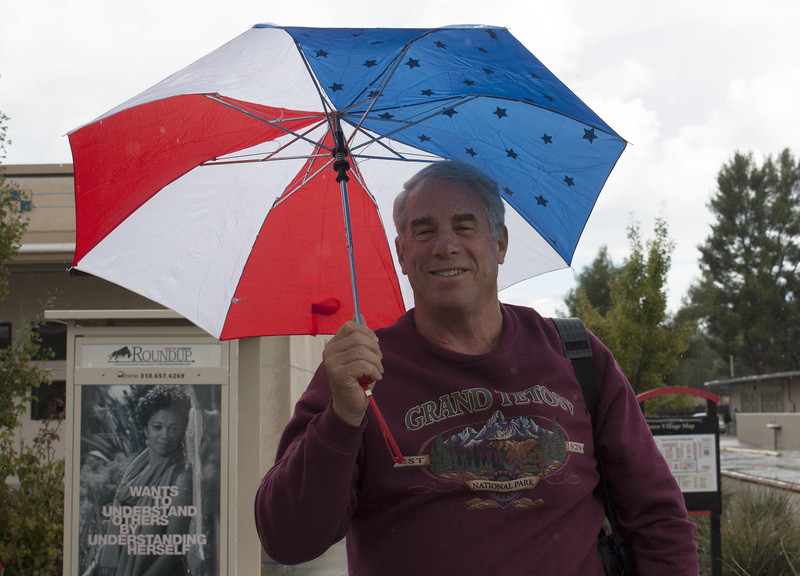 Paul Milberg, 67, a part time student who participates in the Encore Program, is always prepared for the rain because “I was a Boy Scout, our motto was ‘be prepared.” at Pierce College, Calif. on Oct. 11, 2012. 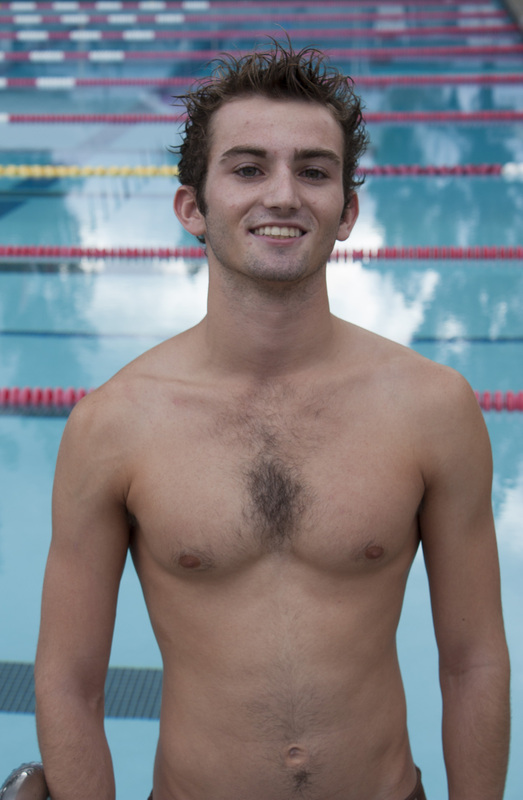 Rain, thunder, lightning, and hail took Pierce College students by surprise on Thursday afternoon. Doppler radar is estimating 1.5 inches of rain per hour, according to a statement released by the National Weather Service (NWS). A flash flood warning issued by the NWS for the Los Angeles county and remains in effect until 4:45 p.m., according to their website. For more weather updates, check the Pierce Weather Station.